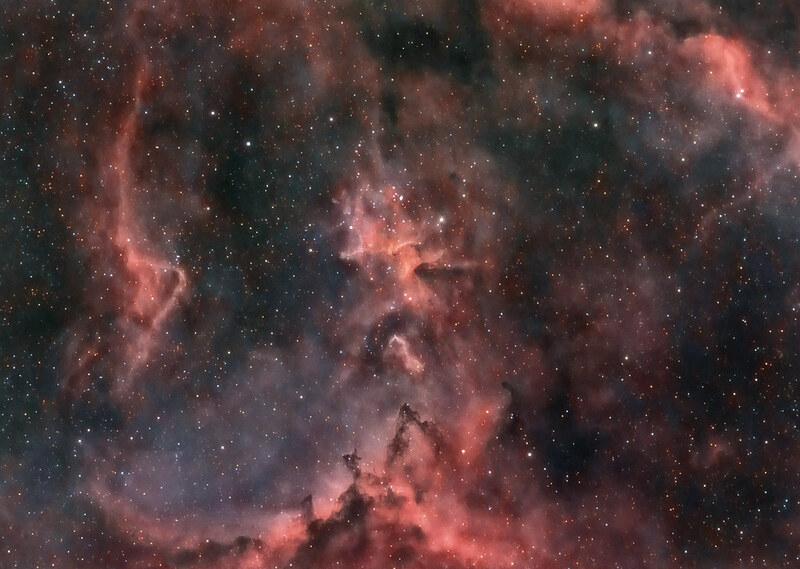 The image is a combination of 56 x 600s @ ISO 800 with 12 nm Hydrogen Alpha narrowband filter and an RGB image. The Ha data were shot through a 130/910mm refractor with a stock Pentax K3ii. The RGB data were taken with a 80/480 mm refractor and a stock Pentax K5 (48 x 180s @ ISO 800). Nicely done, magical. There is so much there that we will never know. This is truly a remarkable example of hard work in Post Photo Editing. All we have to do now is sit back and soak it all in. Well executed. Awesome photography. Hats off for the effort and result. Most of us probably wouldn't have the patience let alone the expertise and skill to get a shot like this. Thanks for posting! Thank you all for you friendly comments. Thanks for sending this beautiful image .